Feel free to post your recruiting information herein. Roll Tide. 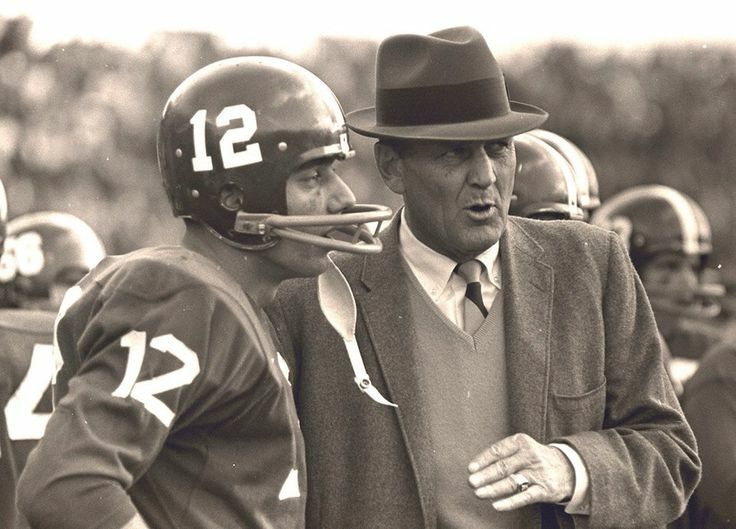 Coach Bryant and a promising young recruit. Good read. I wonder if there are any, say 6'3" 205 lb. receivers out there for us to recruit? Excellent article. I thing we get this guy. Let me know how to help. Feel free to delete all of our comments to clean it up. I got it worked out. "College football prospects have all sorts of different attitudes toward recruiting. Brandon Greene is one of those who pretty much knew what he wanted and wasn’t all that interested in the courtship part of the recruiting game. Well, now he’s got what he wanted. The 6-foot-6, 295-pound offensive tackle from Cedar Grove committed to Alabama over the weekend. He did it without a lot of pomp and circumstance and without a whole bunch of other offers. Before he committed to the Crimson Tide while on an unofficial visit this past Saturday, Greene’s other scholarship opportunities were from Central Florida, Louisville, Ole Miss." Chris Black WR, 2012. He just had a visit to Tuscaloosa. He has the hair of a great receiver. Scout, "Junior Chris Black was named First Team All-First Coast WR by Florida Times-Union. He finished his junior season with 990 yards receiving and 12 touchdowns. He says he can bench 250-pounds and claims a 36-inch vertical jump. Black hopes to major in sports medicine or psychical therapy and reports a 2.9 core GPA. He is taking the SAT for the first time in April. Black: “I can make plays. I run creative routes and am very elusive after the catch. I’m a good deep threat too and I can turn a short 10-yard pass into something much more. Great job guys. I hope we get those hard working recruits this year stars or no. If I got this post in wrong place please feel free to remove it. I don't want to clutter up a Post Block. RTR! Nope, this thread is open to any comments unless our populations grows too large and it gets cluttered. Do we have a 5-star list of recruits? I would kind of like to see those we are pursuing? RTR! Anyone a member of the new Tidesports/Rivals? I ain't any more yellowpope. I can't afford their high prices. lol, RTR! I'm not either, I was just wondering how their recruiting coverage is. There aren't many 5-star recruits this early. Most services keep evaluating them and add stars as necessary. Dorial Green-Beckham is believed to be Julio-comparable. He's a certainty to be a star player. Alabama NEEDS him and WANTS him. So does everyone else. Great job, I was noticing some of the sizes these men are, big young men. You ever notice these big guys coming out of H.S. wanting to play in college and usally they have speed. RTR! Page created in 0.908 seconds with 31 queries.